The pantry used to be the nerve center of the kitchen. When I was a little girl, mom had it stocked with lots of stuff from canned foods – some in canning jars – to dried beans and spices. Our moderately stocked pantry was a symbol of comfort and security for our family. It was never bare or barren. When you looked in my mom’s pantry, you immediately knew that she was a cook whose objective was to make sure her family was well feed with hearty, rib sticking, and filling meals. From those modest pantry items, mom would make magic on Bromont Avenue from the ingredients she had on hand. And what she concocted for family meals would “fill an empty corner,” as my dad would often say. And it did. In this culture of food we live in, what’s in your pantry or what’s not in it says a lot of about you. My kitchen pantry says I love home spun, comfort food. It contains an array of canned and dried beans, pastas, sauces and spices. 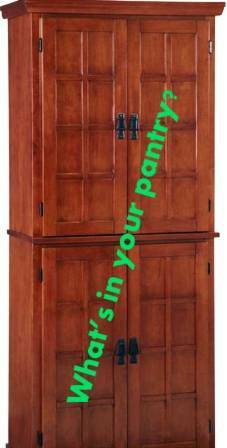 Have you ever thought about what your pantry says about you? I was fascinated by a recent post on Tabletasting.com which presented a list of updated items for the modern pantry. While fanciful, it simply wouldn’t cut the mustard with this every day, home cook. I fancy myself as a bit of a chefy home cook and admit this is a great list. But are these items a great baseline for the pantries of everyday home cooks? So that got me thinking – especially with all the hustle and bustle of the holiday season that is upon us – what are some of the basic pantry items the everyday home cook or novice cook should have on hand as the foundation for pulling together a quick and tasty meal? I am an avid Ralphs (Krogers) shopper. Over the past few years, they have made monumental advancements in the quality of their products and in the décor of the stores. 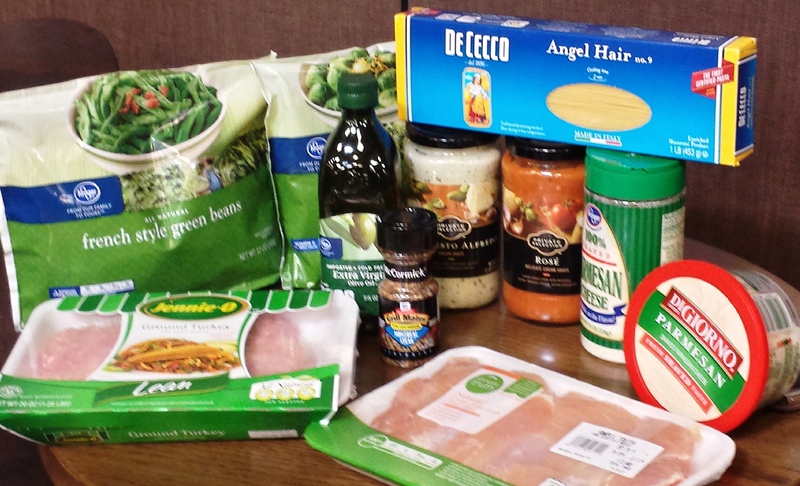 They offer an extensive selection of organic products, organic produce and organic meats which are a must have for me. And the remodeling of my neighborhood Ralphs on LaBrea and Rodeo here in Los Angeles rivals some of the upscale supermarkets chains in California. It’s 60,000 square feet of sheer grocery shopping paradise. 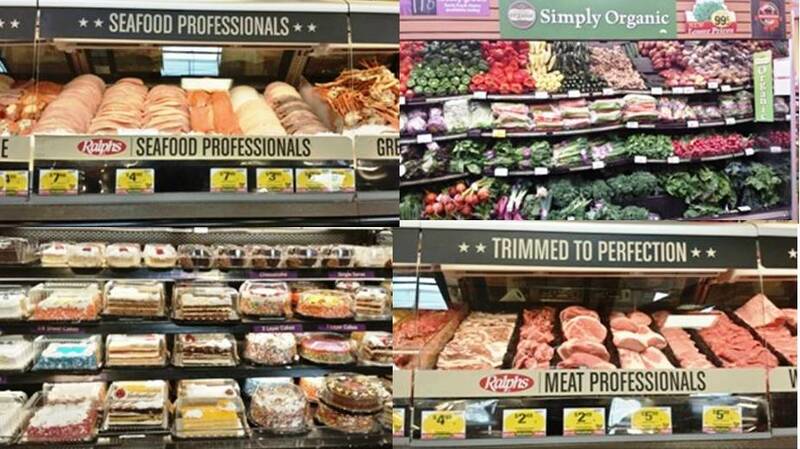 Kroger is the parent company of Ralphs and they have been in the food business since 1883. They serve 8 million customers a week. That gives them some solid “grocery cred.” So I reached out to Ralphs and asked them the question. 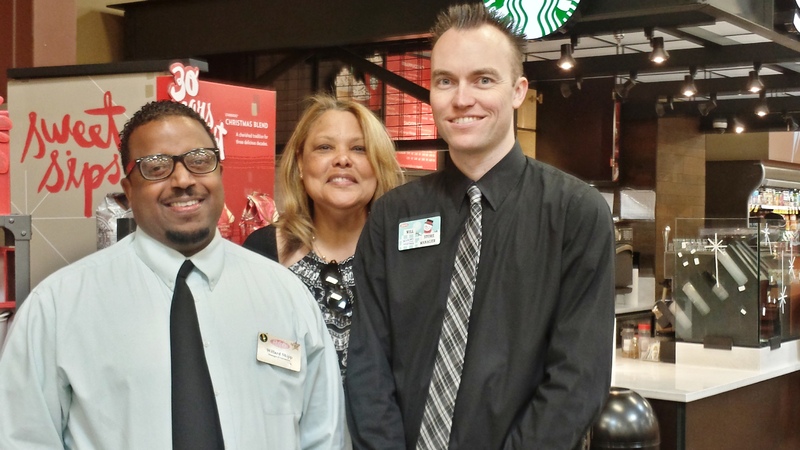 Liz Wilson, a Vice president at Ralphs, answered back and she along with Will Oest, Store Manager and Willard Ship, Manager of Operations met me at the newly renovated store on LaBrea and Rodeo to talk about Ralphs’ list of basic pantry and kitchen essentials. Simple, practical and basic. Now this is a list I can work with. Liz also offers a recipe from the kitchen of Ralphs that you can work with using some of the ingredients on the list. For more recipes, she invites you to visit their site at https://www.ralphs.com/recipes. 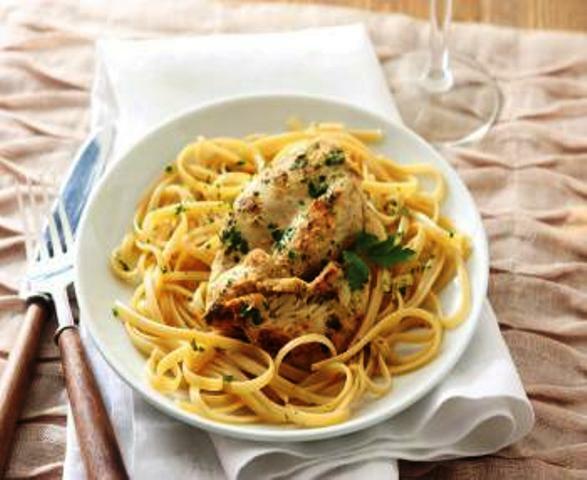 Fresh lemon juice and Dijon mustard turns a basic chicken breast into a special pasta dish for dinner. Boil water and prepare pasta as directed on package. Season chicken with salt and pepper to taste. On a plate combine mustard and parsley and press chicken into mixture, coating both sides. In a non-stick skillet heat butter and cook chicken until golden, about 5 minutes. Turn chicken and cook until golden brown on both sides, about 5 minutes more. Add lemon juice and water to skillet; simmer for 1 minute. Pour sauce over pasta and toss. Serve chicken over top of pasta. This entry was posted in Foodies and tagged Boneless chicken breast, caviar, cheese, chicken, Chicken breast, collard greens, Dijon Mustard, Dried beans, Dried mushroom, Duck fat, Fish sauce, Ground beef, ground turkey, Kewpie mayonnaise, Kroger, Krogers, Lemons, Liz Wilson, maple syrup, McCormick Monterrey Style Seasoning, Miso, mustard, Organic products, Pantry, Parmesan cheese, pasta, Pesto, Preserved lemons, Ralphs, rice, Sesame oil, Smoke paprika, Spaghetti, Sriracha, Tomato paste, Will Oest, Willard Ship, Yogurt, Za’atar. Bookmark the permalink. ← Thanksgiving is all about the turkey, but does it have to be?